For June Brides, you can already hear the wedding bells ringing as your big day is just around the corner. Finally, the months of planning and preparation will come to an end. You have certainly booked all the wedding essentials- from the venue, down to the most important suppliers. Of course, let's not forget the team behind every beautiful bride- Makeup Artist, check! Hairstylist, check! Manicurist? Not a problem! Caronia got everything you need with their June Brides Collection. Complement your wedding accessories with picture perfect nails using Caronia White Rose, Platinum Special, or Silver Platinum for a simple yet elegant finish. With photos showing off your stunning rings and blooming bouquet, make sure to wear your best mani on your most special day! 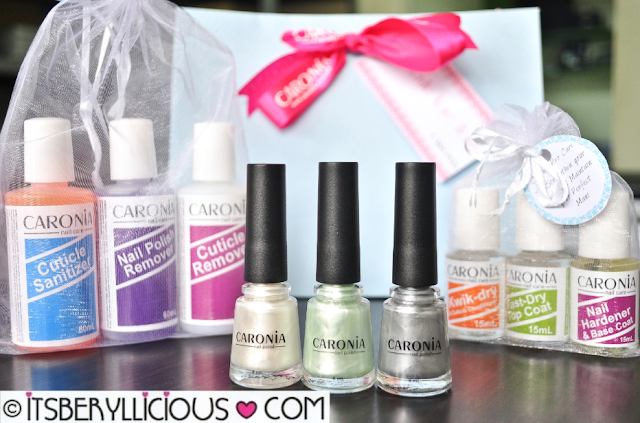 Say I DO to Caronia’s complete Nail Care Regimen from Cuticle Remover, Cuticle Sanitizer, Nail Hardener & Base Coat, Fast Dry Top Coat, and Kwik Dry to complete your bridal look on this very special day. Best Wishes and May You Live Happily Ever After!